GCP Coordinate System: Section to select the coordinate system on which the GCPs/MTPs/Check Points position are based. Export GCPs/Check Points coordinates and, optionally for GCPs, the accuracy of the coordinates. 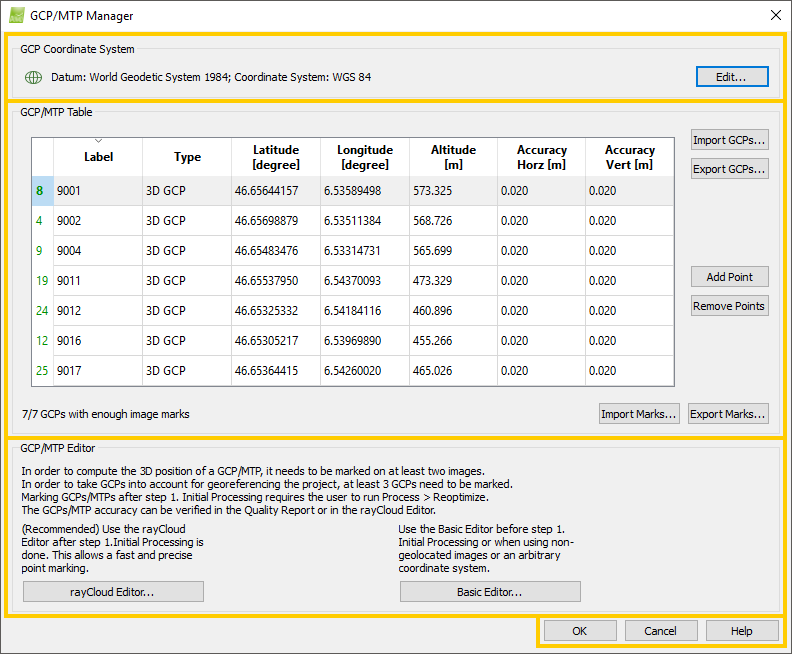 Import or export a file with the image coordinates of the GCPs/MTPs/Check Points and on which images have been marked, in which position and at which zoom level. GCP/MTP Editor: Section to mark the GCPs/MTPs/Check Points on the images. Cancel: Does not save the changes.